Across multiple sectors, wayfinding signage plays a vital role in the customer experience and operational efficiency. Our team has delivered comprehensive and customised wayfinding solutions for a broad range of clients, utilising signage, media or both, to design the optimum outcome. Wayfinding is the information systems that guide people through a physical environment and enhance their understanding and experience of the space. A vital aspect of wayfinding is signage – directional, information and identification. Well designed and strategically-placed wayfinding signage will ensure that your business’s physical environment is easily navigable. It is essential that designs are clear, concise, and present well-organised information that is quick and easy to read and understand. Whether it’s a simple sign directing visitors to reception or totem signs installed throughout a shopping centre, we can provide a tailored solution for your business and physical environment. We can develop customised wayfinding solutions to navigate any site including large commercial complexes, shopping centres, airports, conference centres, hotels, apartments and high rises. 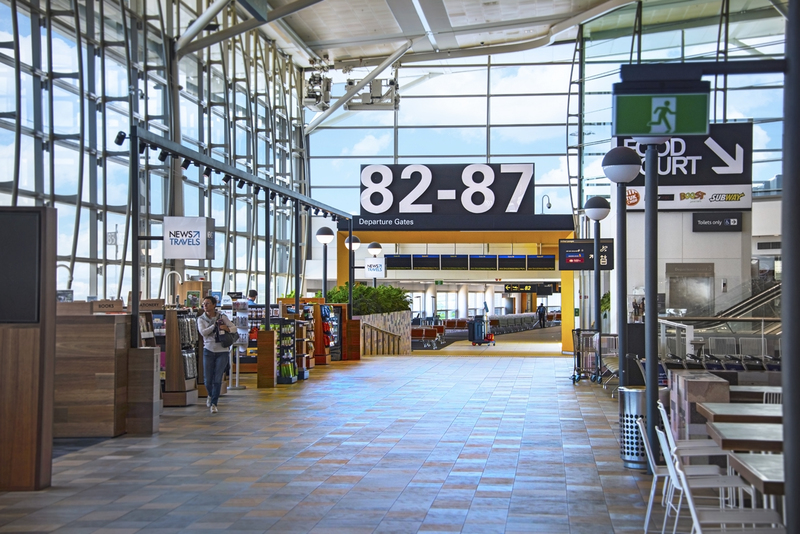 Incorporating digital into your wayfinding signage solution is fast becoming popular in large facilities due to the dynamic abilities of digital screens. Digital wayfinding allows companies to easily update content whether this be routes and maps, directory lists, customised welcome messages or promotional material. With the ability to also customise the exterior design of the kiosk or screen, we can ensure that your digital wayfinding will fit seamlessly within your environment and complement any existing static wayfinding signage. Functionality and usability is key to ensure an enhanced customer experience. Searching an interactive directory list allows visitors to filter large lists and find their destination quickly. Digital wayfinding signage is engaging, eye-catching and dynamic – view our solution for North Lakes Specialist Medical Centre.